Time for the follow up. 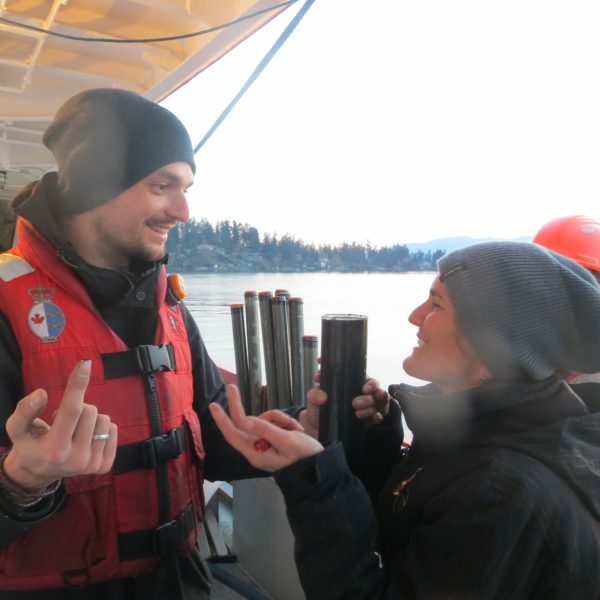 Kate (ESR 5) and Maarten (ESR10) went on a research expedition to two Canadian Fjords in May 2018. 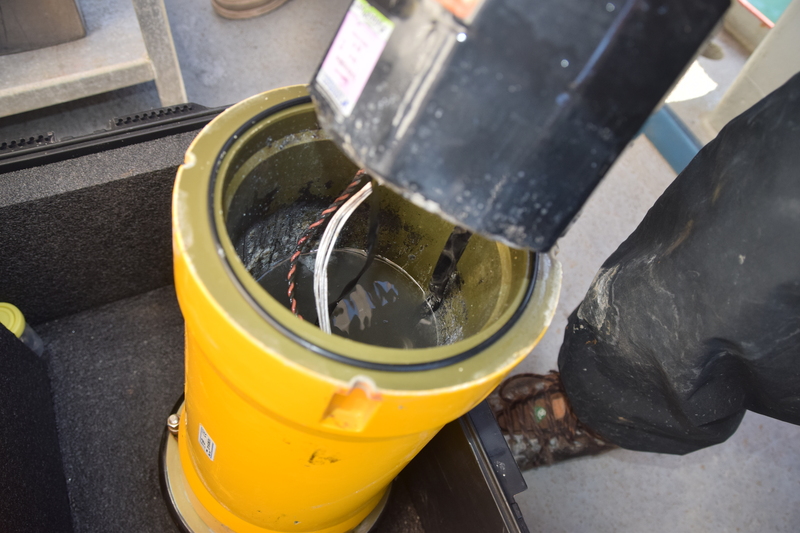 The aim of this expedition was to understand a turbidity current system from source to sink. Turbidity currents are submarine mass flows of sediment in water, that flow due to their excess density compared to the ambient water. 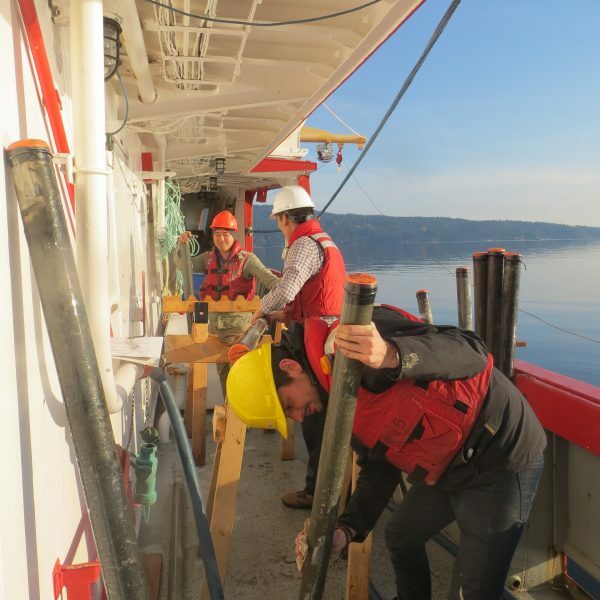 These flows are known to create deep canyons and long channels on the seafloor, transport enormous amounts of sediment (all of the scale of rivers), and pose geohazards to seafloor infrastructure like cables and pipelines. 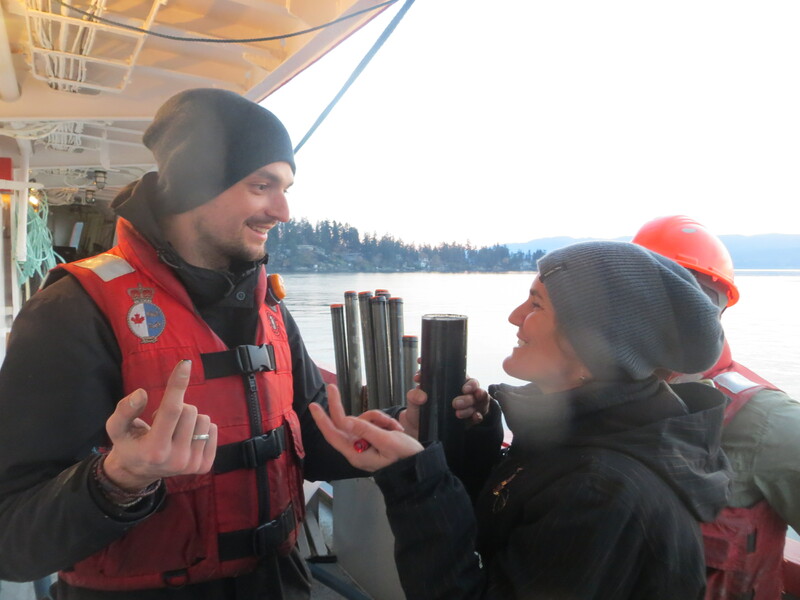 We sampled and measured the seafloor and we deployed instruments in the fjord to measure passing flows over summer in May this year. 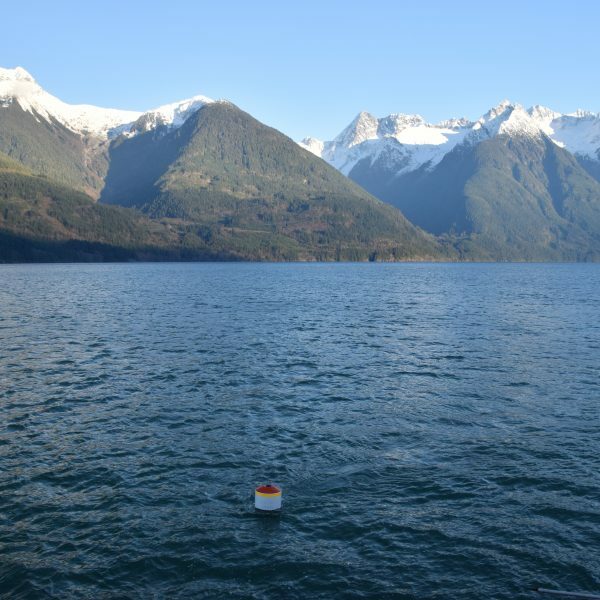 We use the relatively small, yet very active system in the beautiful Bute Inlet, British Columbia, Canada, to study and better understand these turbidity current systems. The report of May’s expedition ended with a major cliff hanger and it is about time to follow up! 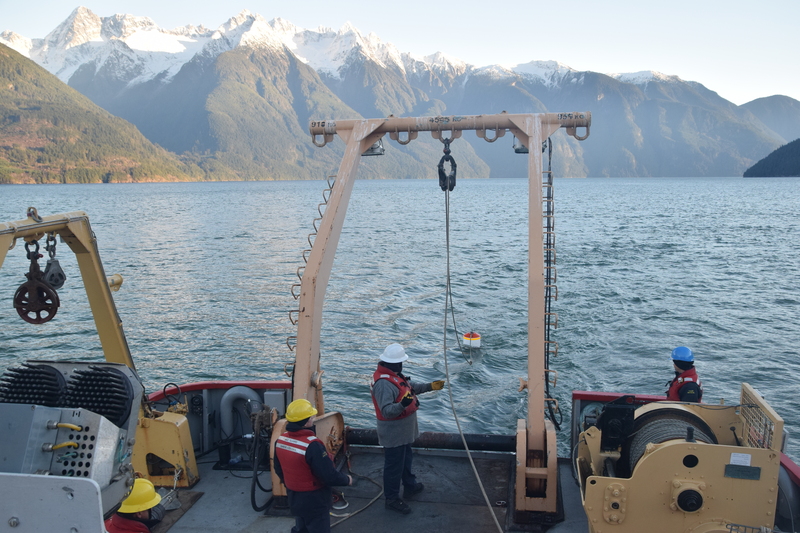 The instruments deployed in May have now been in the fjord for around 6 months. 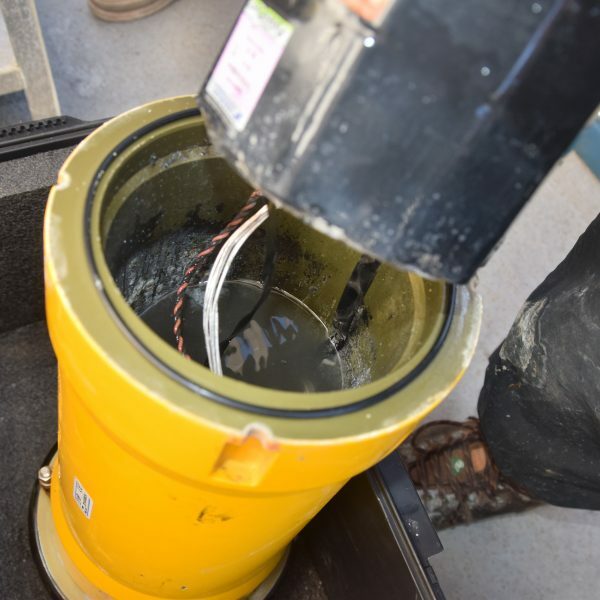 Their batteries have probably run out and they have hopefully measured loads of flows. 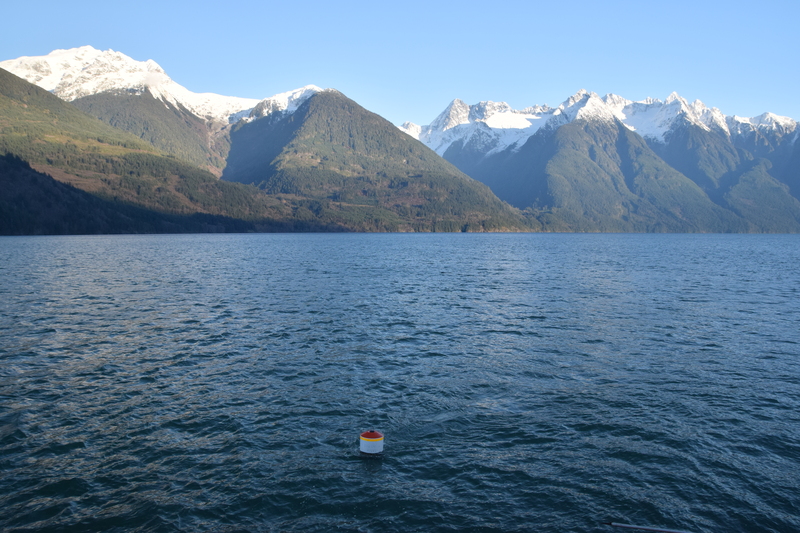 So we had to go back to Bute Inlet to 1.) retrieve the instruments, to see what flows occurred; 2.) to re-survey the seafloor, to see how these flows affected the substrate; and 3.) 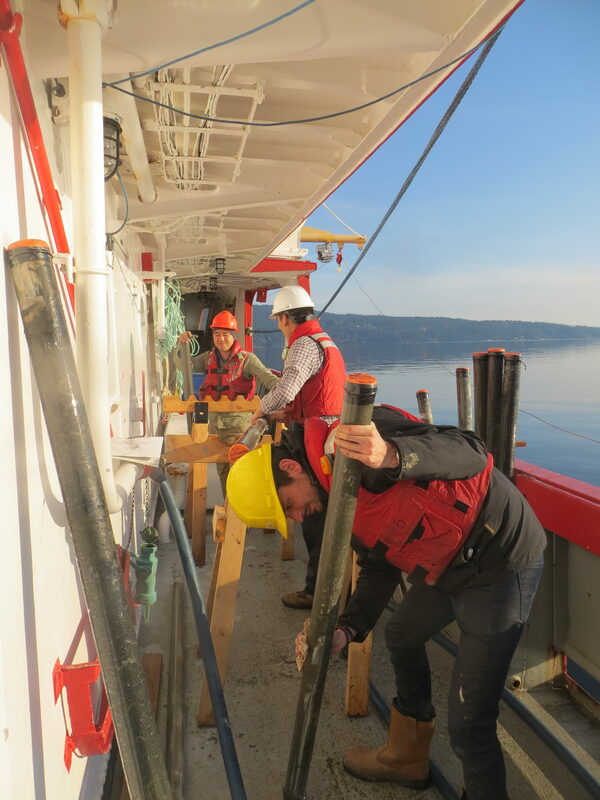 to take some more samples to see what deposits these flows have left behind. 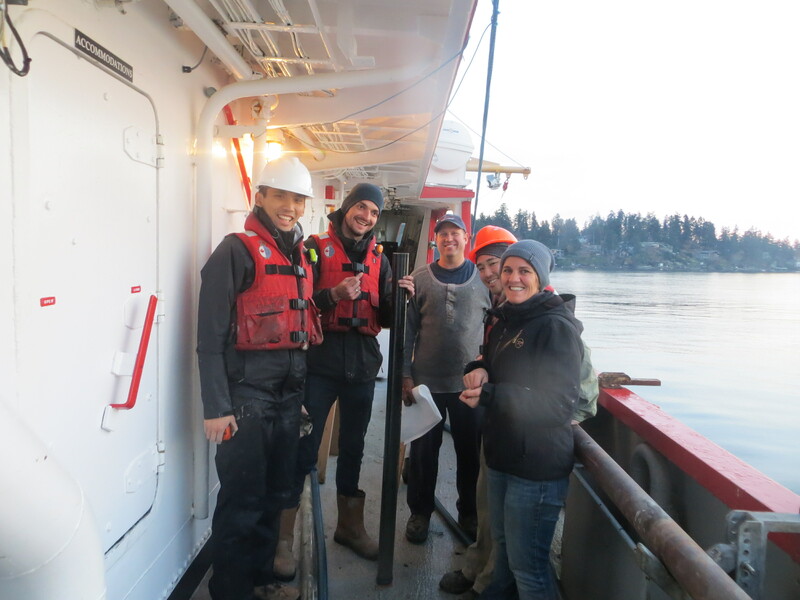 This extensive monitoring effort will be the first full source to sink dataset of an active submarine channel and I am in the fortunate position to be a part of it and share my experiences with you. I? Where is the rest? Last cruise in May ‘Slaters’ Mike (PI ESR 10), Pete (PI ESR5), and Kate (ESR 5) were also on board. 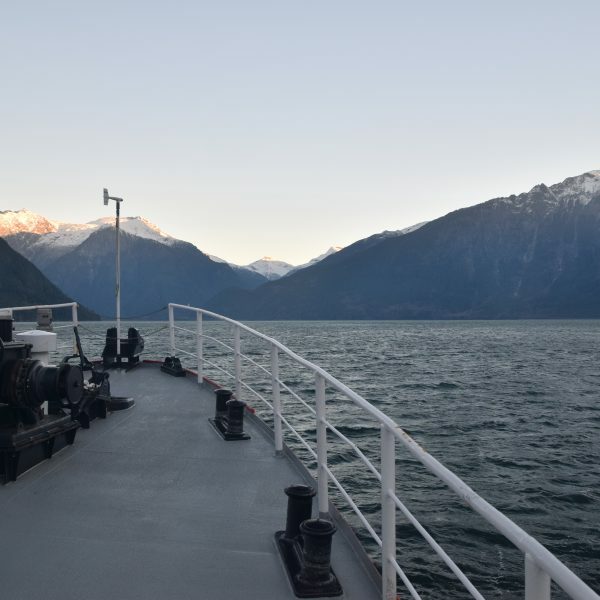 However, this second part of this year’s expedition was much smaller, with only a few days of a larger National Recourses Canada cruise dedicated to Bute Inlet, rather than two vessels for almost 2 weeks. This has resulted in space for only one ‘Slater’ unfortunately. This cruise was a very different experience for me compared to last cruise. 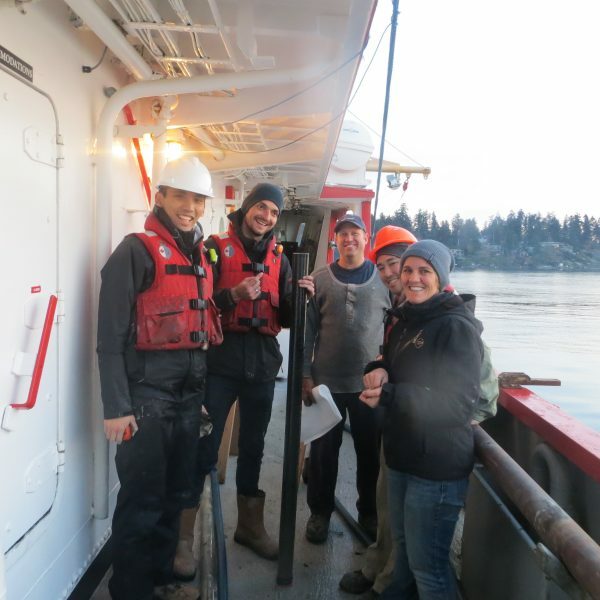 I was much more familiar with offshore research, the ship and the other scientist, I was on dayshift rather than on nightshift, and I felt like I had more responsibilities than in May. 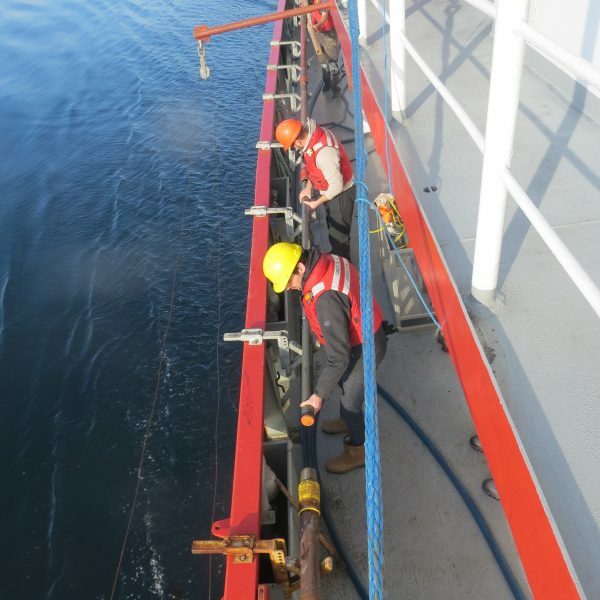 I was involved in coring, water sampling and filtering, instrument retrievals. 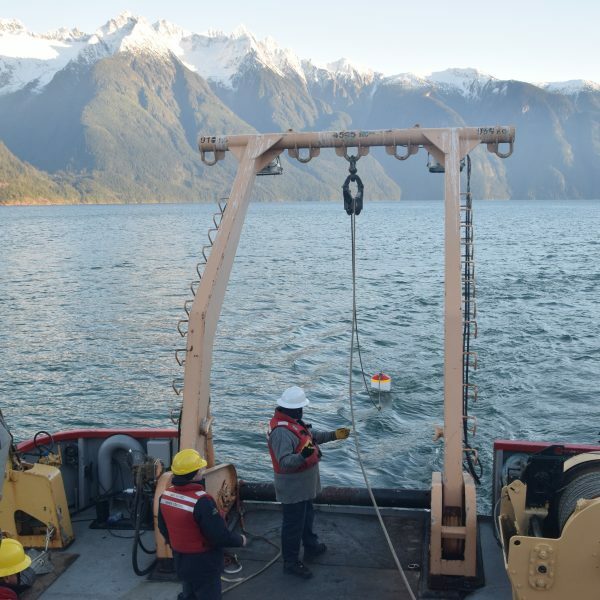 For the Bute Inlet part of the cruise, I prepared everything for instrument retrieval and discussed the final core and sample locations with the chief scientist. 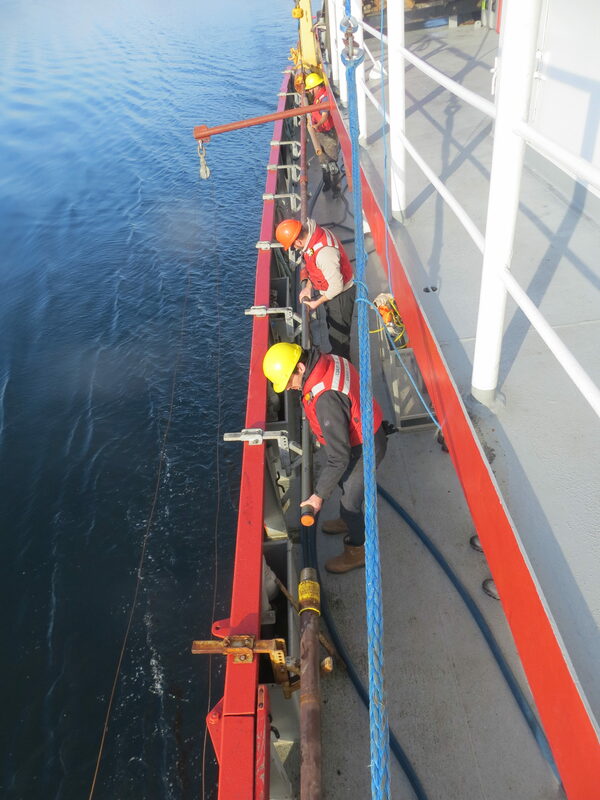 We also planned the seafloor survey, together with a scientist (Steve Simmons) from Hull University we work closely together with. These extra responsibilities and the diverse tasks resulted in the opportunity to learn a variety of things I hadn’t learned in May, which was great. 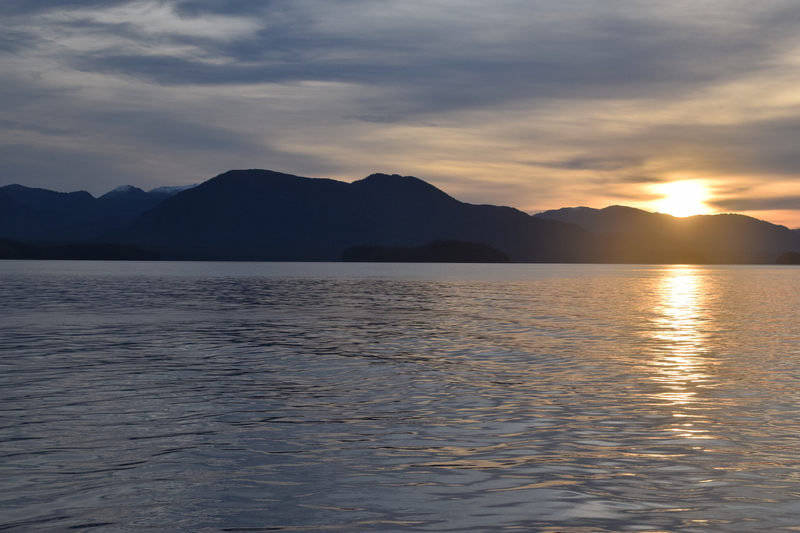 Being on dayshift also allowed for better views and wildlife spotting, which tends to be difficult at night. 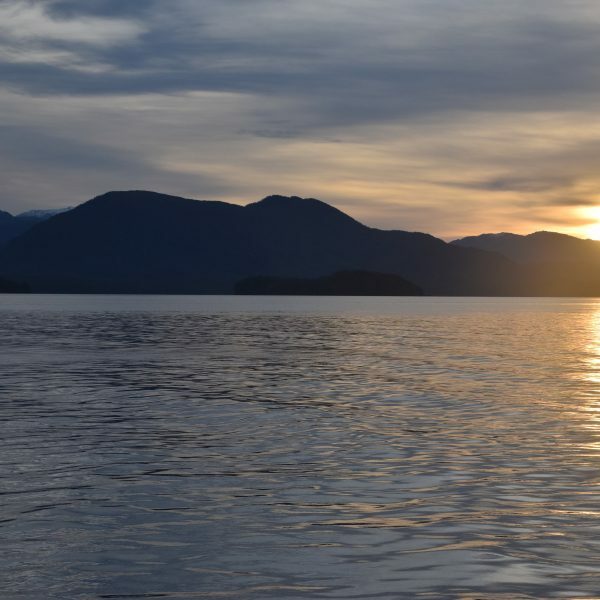 We were spoiled with dolphins, whales, orcas, eagles, seals, and sea lions. 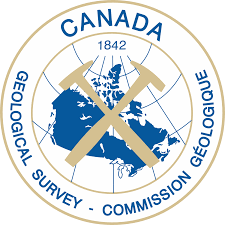 Four weeks of work in Canada and two hard drives full of data later, it is time to work on this amazing data. 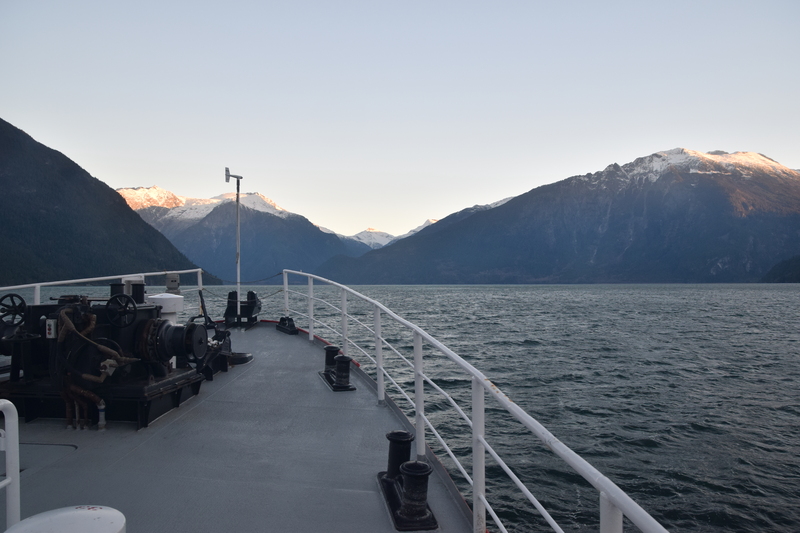 This was, for now, the last time going to Bute Inlet. But, hopefully, I will be back some day. I learned a lot, had fun, enjoyed the beautiful scenery, and we did great science. I still feel very grateful for all the opportunities this ESR is offering me!